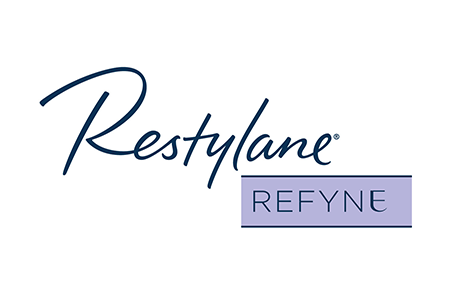 Restylane® ReFyne is a hyaluronic acid dermal filler formulated with XpresHAn Technology™ and used to soften moderate to severe facial wrinkles and folds, including nasolabial folds (smiles lines) and marionette lines (lines from the corner of your mouth down towards your chin). This special technology allows the dermal filler to move within the face with your own natural expression. A treatment with Restylane® ReFyne gives you results that help maintain natural movement when you’re smiling, frowning, and even puckering up. How long do Restylane® ReFyne treatments last? In a clinical study of subjects treated for laugh lines with Restylane® Refyne, investigators reported improvement in the appearance of wrinkles for up to 12 months in the majority of patients. What are the potential side effects of Restylane® ReFyne?